As always we continue to have a great response to our fall travel program. The fall season is one of the most productive season’s of the year relative to player training and development. In The Zone prides itself on fielding teams trained and coached solely by professional trainers. Never will you find a parent teaching or training our athletes or making decisions on where kids play in the field or bat in the lineup. We invest heavily into our professional staff and program and continue to provide one of the most in depth and extensive training programs available to youth travel baseball and travel softball athletes in Northern New Jersey. Travel baseball players between the ages of 8 and 18 should visit our website to register to tryout with our club / travel baseball teams. Travel softball players between the ages of 10 and 18 should also visit our website to register for our club / travel softball teams. Players can expect a full pre-season training and development schedule with 2 coaches / trainers at every practice. We continue in-season with continuing training and development schedule and travel league and tournament play. All age levels have 2 coaches at every game and practice in-season. In The Zone Baseball & Softball Academy has been a leader in North Jersey for over 13 years. 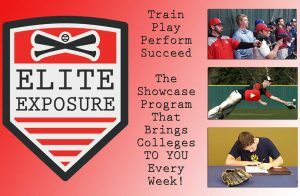 We offer private baseball training, private softball training, lane rentals, facility rental, team training, travel baseball teams, travel softball teams, strength & conditioning and more.